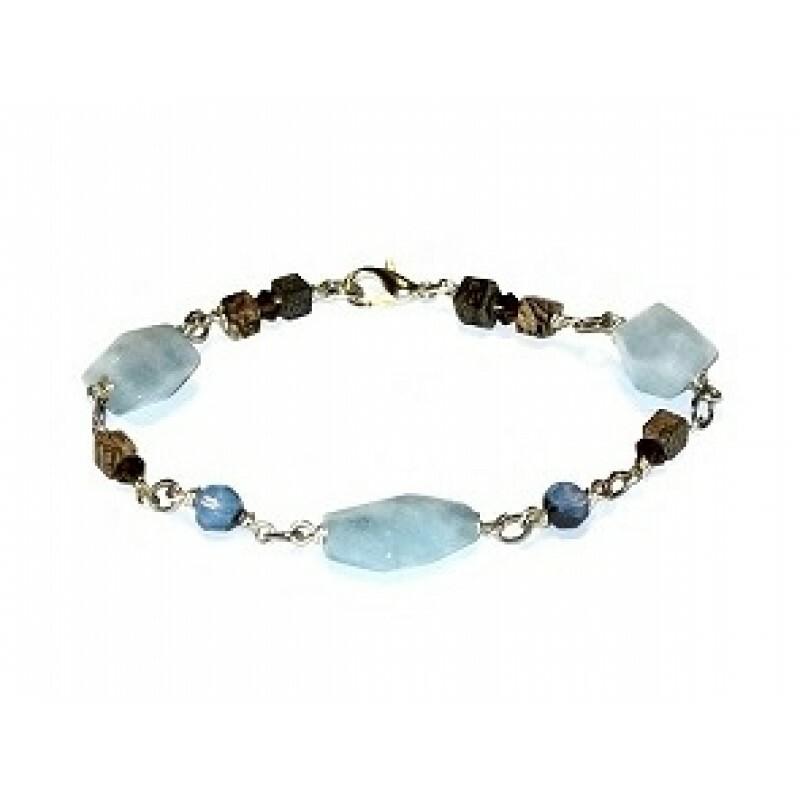 If you love the color blue and earth tones, this bracelet could be perfect for you. It is made up of semi-precious stones and Swarovski crystals. It has a silver-plated lobster clasp and measures 7 1/2 inches. Make this choker the focal of your look. It features a faceted sardonyx agate pendant that han..
Add more style to your look with these blue dangle earrings. They feature mother-of-pearl bead..